Fran Bouwman was 23 when she met Jeff Stone, a madman in the best sense of the word, and a mentor who changed her life forever. After meditating upon Fran’s hands, Jeff was the first person to tell her that she was destined to be a sculptor. His intensity as a painter and his wisdom as a Tai Chi instructor were inspiring. Within several weeks of meeting each other Jeff enrolled Fran in a sculpture class at the Ontario College of Art. Shortly after that he disappeared from her life. Wood is Fran’s primary medium. Ever since she was a child, she was drawn to its natural shape. Wandering through forests, she was mystified by these giants – by the shapes of their branches, burls and leaves. Unlike a block of stone, wood has a story to tell. Fran believes that it’s up to her to discover what that story is and bring it to life. 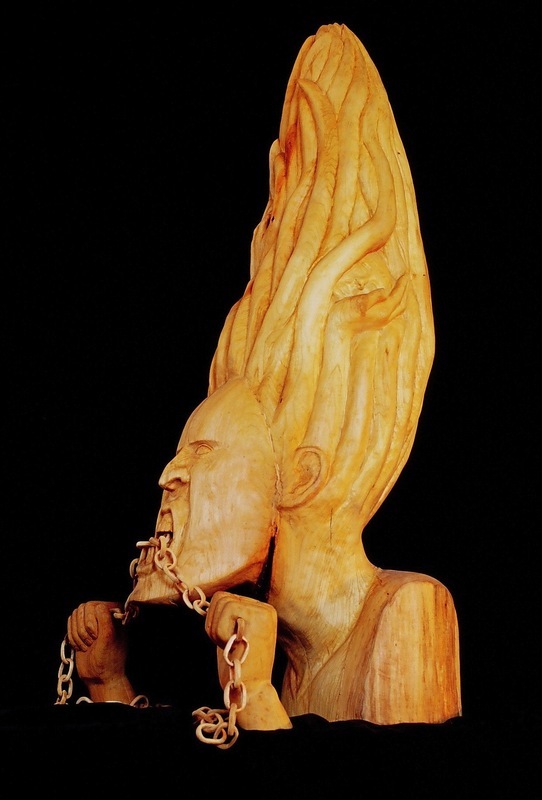 Sculpture in wood is one of the most physically demanding art forms, so growing up on her parents’ apple orchard was great training. On a farm Fran learned how to be tough, how to work with her hands, and most importantly how to be driven by sheer discipline. In subsequent years Fran became fascinated by the subtle and often not so subtle differences in gender, especially in terms of role and behaviour. Her interest in feminist perspectives and literature grew immensely. It is the driving force behind so much of her work.